Why is limiting needed during mastering? What is the key to effective, tasteful limiting? And how much is too much? Don’t limit your skills by snoozing on these tips. Limiting is the final process in mastering and arguably the most important. Its primary purpose is to make your track as loud as possible without clipping or distortion. While many (if not most) mixes can be improved with some carefully applied equalization or compression, it’s probably safe to say that every track can benefit from limiting – though only if done properly! 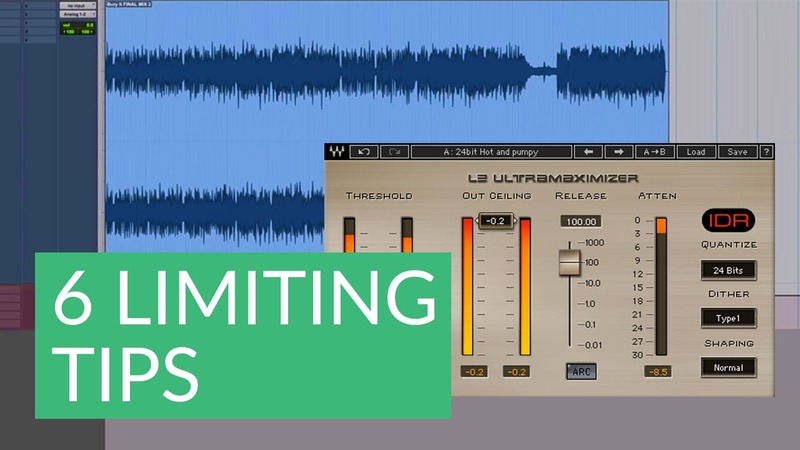 In this article, we’ll discuss six tips for correctly using limiters in mastering. As with every other mastering process, understanding the basics is key. Limiters are essentially compressors with extremely high compression ratios. Although limiters and compressors both work by reducing (attenuating) transients and loud signals, the amount of gain reduction applied by a limiter is determined by an output ceiling control set by the user. This sets the ‘limit’ above which the level of the audio passing through cannot be exceeded. The big bugaboo in mastering is clipping – the squaring off of the waveform that occurs whenever a signal exceeds 0 dB, causing your playback device to output a click or a burst of harsh noise. Obviously this is something you want to avoid! But you also want your master to sound as loud possible, or at least in the same volume range as other commercial recordings. The problem is, if you bring up the overall level of a track, the audio peaks are going to start clipping. A limiter allows you to bring up the level without allowing the peaks to clip. Modern mastering limiter plugins are extremely precise in catching peaks and won’t allow anything to pass through over their set ceiling, which is why they are sometimes referred to as “peak” or “brick wall” limiters. The good ones do this so well that you can hardly notice it happening if set correctly. The L2 Ultramaximizer and the L3 series of limiter plugins are all designed specifically for mastering. They are renowned for their transparency and their ability to not make the track sound obviously limited or compressed. Threshold determines when limiting begins, while output ceiling specifies how much limiting is applied. When the threshold is low, even relatively low-level signals will undergo gain reduction, while a high threshold will yield a more measured response. Regardless of threshold, lowering the output ceiling always causes more gain reduction. The release control determines how quickly the limiter stops working after the signal drops below the threshold. If it is overly long, you will hear audible pumping, while if it is too short, distortion artifacts may result. Many limiters offer an auto-release option, where the optimum release time for your track is computed based on waveform activity. In many instances this will provide the best results. As with every other mastering process, when it comes to limiting, less is more. Pushing a limiter too hard usually leads to disappointing results and may even ruin your track altogether. It’s easy to see why: The more limiting you apply, the more the peaks – typically drums and percussion – get squashed down into the mix. True, this allows you to turn up the overall level, but at the cost of a loss of attack and punchiness. Remember also that limiters are much more aggressive than compressors and are therefore capable of doing more damage to your mix. The goal should be to apply light limiting that complements the music and allows you to eke out a little more gain, but without sucking out the energy and excitement of the track. Start by setting the output ceiling to -0.2 or -0.1 dBFS (never to 0.0, or intersample peaks will sneak through and cause distortion on consumer playback devices) and a very low threshold of around -0.5 or so. This should result in gain reduction of about 2 to 4 dB, which is really as high as you want to go in most instances. Any more than that and you’ll likely end up with sonic artifacts which aren’t worth the extra level you’re gaining. When set correctly, your limiter should kick in only when things get out of hand yet ensure that no clipping occurs. Just as there are multiband compressors, modern mastering tools also include multiband limiters such as the L3 Multimaximizer and the L3-16 Multimaximizer. These offer multiple frequency bands (five in the case of the L3 Multimaximizer, a whopping 16 in the case of the L3-16) but do not consist of independent limiters operating separately; instead, they have one central peak limiter which examines the signals of all of the input bands and then calculates optimal attenuation for each, applying automatic gain reduction so that the mixed result is custom-limited to fit the music. On occasion, Nevo has even been known to add a third limiter to the end of the chain – another L2 – to squeeze another dB or two out of a track. By now, you’ve probably heard of the so-called loudness wars – the seemingly never-ending battle to master as loud as possible with little regard for the consequences. Our advice: Disengage. We hope these tips will help you approach limiting in your mastering sessions. 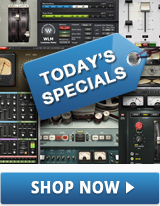 To learn more about mastering, see our equalization, compression, and other mastering tips.